4. Inform your nominees on their site. I copied Kim’s list of nominees because if she wouldn’t have nominated them I would have and each one of the above sites is worth a visit. I have added three nominees that each tell their poignant story of how abuse affected/affects their lives and the lives of loved ones in the effort to raise awareness and break the silence surrounding abuse. All 3 have lost a family member to abuse and are strong women who tell the truth with passion and eloquence. Her strength and determination inspire me, she is a wonderful woman and mother. Noeleen, another wonderful mother, whose own mother committed suicide on her 5th or 6th birthday (sorry Noeleen, I should remember) leaving her and her siblings to be raised by her alcoholic abusive father. Noeleen writes from the heart and with such honest emotion I rarely read one of her posts without shedding a tear, fitting since her blog name is Words Fall From My Eyes and can be found here http://wordsfallfrommyeyes.wordpress.com/ She chronicles raising her son as a single mom struggling with the after effects of being raised without a mother and at the hands of a cruel alcoholic father. Then last but certainly not least is my dear friend Kim, who offers support and resources for victims of domestic violence at her site My Inner Chick which can be found here http://myinnerchick.com/ I don’t recall how I found her site in the first place, but once I did I spent hours reading her posts and sobbing uncontrollably as I read post after post where she shared her feelings (God, the word feelings just doesn’t do justice to what this woman shares) as she struggles to deal with the death of her sister who, only days before her divorce was to be final; was murdered in cold blood by her husband who then killed himself. All three women inspire me and motivate me to tell my story, to not be silent any more. Share something positive from the relationship with a narcissist. You might be surprised to hear there were many positive things that came out of that 10 years, and although I could have done without the experience thank you very much, I have no regrets and if given the choice would do it again. I know you are thinking I must be crazy to willingly do it again. Of course knowing what I know today the relationship never would have lasted a month. But I will tell you why I feel this way. I quite literally felt like a puzzle that had been dropped on the floor and the pieces had scattered everywhere and I had to slowly pick up a piece and see where it fit or if it fit. I had pieces from my childhood, my life before JC, from other relationships, my life as a parent, the things JC told me about myself, things I knew to be true about me and lies I had told myself and future dreams that were shattered. It has taken two years but I think the puzzle is about complete, yet just this week I had another revelation about myself. Just wanted to wish you and your family a wonderful Christmas. Didn’t want this day to go by without you knowing that I was thinking about you, and hope that you are doing well. I am so sorry for some of those overly emotional and negative message that I sent you over the past several months. They were not necessary, and not in the spirit of what Christmas truly means. His response back was simply..”Thanks. Best to you as well.” I felt so angry-at myself for reaching out, and his response back to me. Why do I still care? If someone could shed some life on this little obsession, I would appreciate it. GOOD GRIEF. Where is my self esteem??? JM, don’t beat yourself up for letting yourself care. We can’t be uncaring, it bothers us so we reach out, because it is our nature to do so and there is still a part of us that just can not fathom someone not caring. It is also human nature to want to be accepted and if not loved at least treated kindly. The fact that the N can walk away totally unscathed by the relationship and happily go on with their life blaming the victim for the collapse of the relationship and their lousy actions leaves us full of self doubt. We think that if we could get some closure, anything, a kind word maybe we can move on also. So we occasionally reach out in an attempt to see some sort of caring from the N, we are always disappointed and eventually stop because we know we are only hurting ourselves. It is all part of the acceptance and healing. The urge to contact him will lessen with time. I bet next year you won’t contact him. I know I apologized for my behaviour also, I had acted so out of character for me. I had split from men before and never acted like I did with the N but then I had never been treated like that by any one before either. They drive us insane, twisting our words, lying to our faces and we start to act and say things we never would, later we look back and are ashamed of the way we acted and because we have empathy and a conscience we want to apologize, but when we do the N just uses it against us and we feel worse. You will never get a genuine emotion out of him, ever and you will get sick of hurting and then you will stop expecting one. Be kind with yourself, you did nothing wrong, it doesn’t matter what you do with an N, good or bad because he will twist things in his favor either way. You did what 90% of victims do, you were human. no shame in that! Chin up, start of a new year and a strong you. Thank you very much for including my blog on your page. 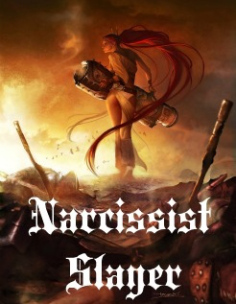 My narcissist nearly finished me off emotionally. I wish I had known then, about narcissistic abuse and how dangerous it can be to be a soul-vampire’s narcissistic supply. You do a great job in raising awareness, so hopefully others don’t get sucked in to the same web! 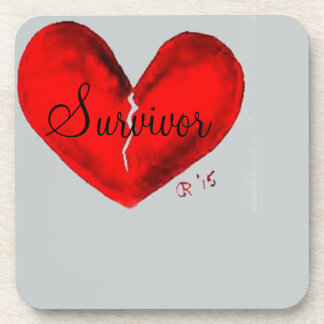 Strongsoulsurvivor, Hopefully all our voices combined will eventually take their power to hurt and destroy people away. The more we educate and share the less power they have. By more and more victims speaking out society has to accept these soul vampires exist and stop blaming the victim.